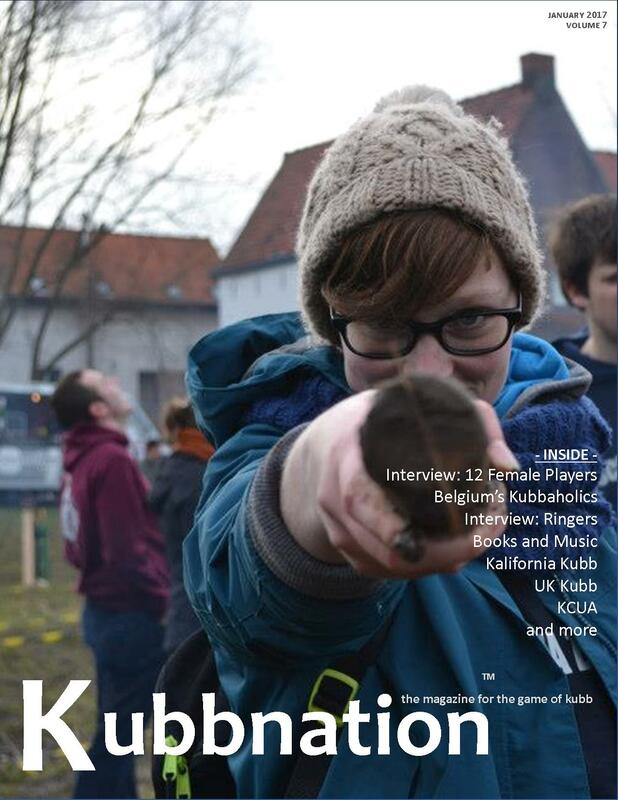 In 2011, I went to my first World Championship in Kubb. At that time, my 8 meter baton rotation was anywhere from a 2 to 2.5 rotation, so 720 degrees or more. There, I noticed that most of the best players on Gotland were using a 1/2 rotation or 1 rotation throw. 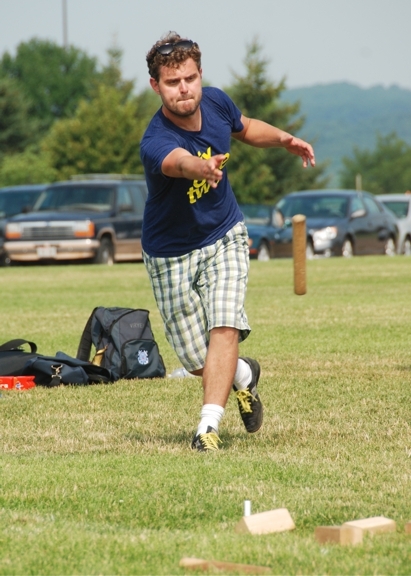 As soon as I got back to Eau Claire, I started trying to throw a 1/2 rotation...and it was awful. I decided that I would try to get good and comfortable at 1.5 rotation. After I got good enough and comfortable at that, I would try to get good and comfortable at a 1 rotation, and then I would work on the 1/2 rotation. It took me probably close to a year to get comfortable with the 1/2 rotation and another year to get to the point where it felt, what I would call natural. A couple years ago, after talking with some friends about them wanting to reduce their baton rotation, I came up with the idea to paint one end of a baton. I really wish I would have had this back in 2011 and 2012. It can be difficult for many people to see how many rotations the baton is traveling. Having a little paint on one end helps a lot. Only do one coat of paint, as you don't want to add too much additional weight to one end of the stick, and your hand won't be on the paint or just a very small part of it. Most top players will agree that you want to throw 8 meters at either a 1 rotation or 1/2 rotation for several reasons. Remember, your room for error is over rotation. 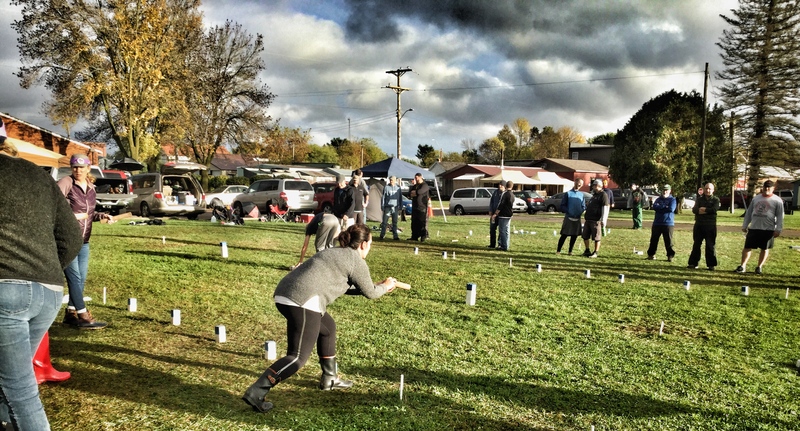 If it is under, then if you are short, the end of the baton will hit the ground first and have a significant chance to dig into the ground or hop over the kubb. 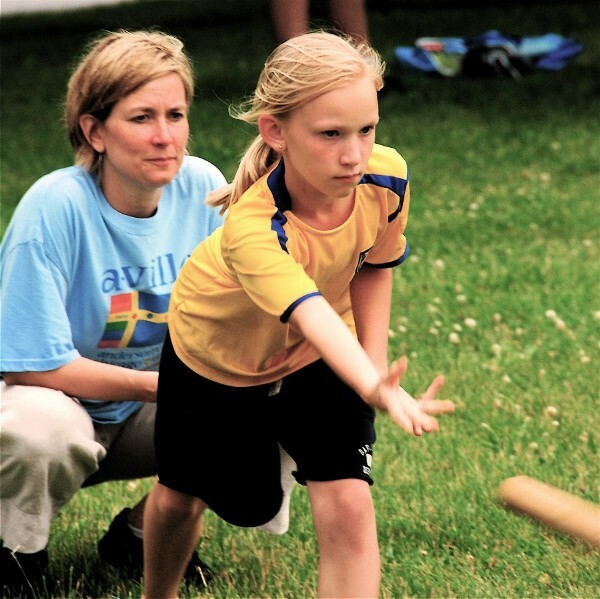 Painted ends can also be very valuable for seeing where your baton hits a kubb when you are practicing the 4-5 meter part of the game as well. 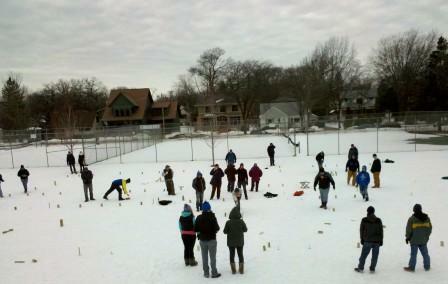 - It is the first non-snow (hopefully) tournament of the year in Wisconsin. - This is one of a handful of U.S. tournaments that require at least three players on a team. - It is the only tournament in the U.S. that we know of that uses the Sure Shot king shot. Quarterfinals and beyond. Switzerland would be proud. We currently have 11 teams signed up for the inaugural U.S. Team Cup. We have a great mix of teams and players. This range is from 12 years old to at least 70 years old. We have some players that are newer to the sport and some players that have been playing in tournaments since 2007. We have teams of players entirely from one community and teams with players from different communities. This is exactly what we were envisioning. All are welcome. 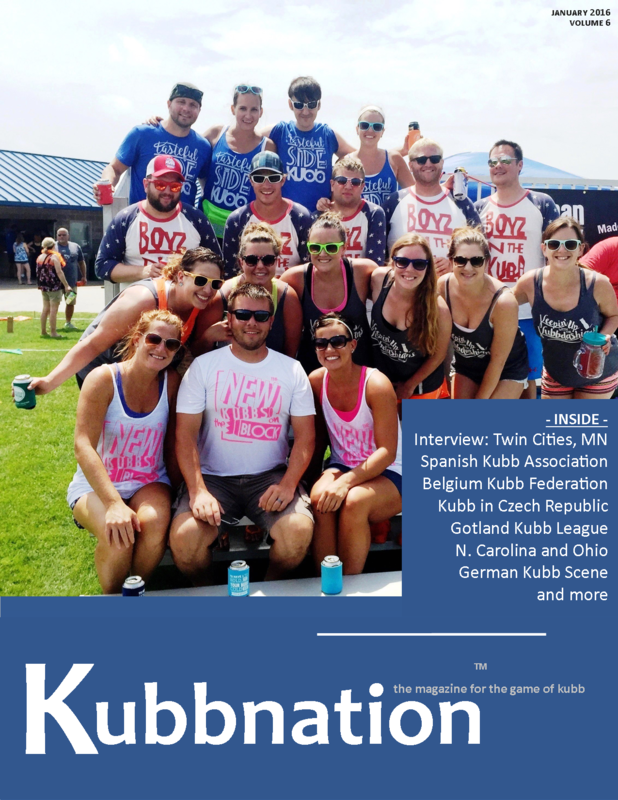 Our 2016 magazine is now online. Here are the tournaments that we know are currently scheduled for the 2016 season. At this time there are 40. 15 of the tournaments are here in Wisconsin. This list does not include league play and league tournaments.